First and foremost, I hope all of you have enjoyed very nice end-of-year holidays, and I send you all my best wishes for 2018. I hope this year will bring you much happiness and success! With the excellent support of our staff at ISPD headquarters, we have been very active during the last few months. The Program Committee for this year’s International Conference on Prenatal Diagnosis and Therapy to be held 8-11 July 2018 in Antwerp, Belgium, is putting the finishing touches on an excellent program. 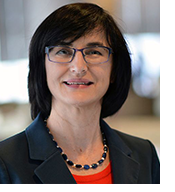 We in the prenatal ethics community have been closely following recent developments in prenatal screening, diagnosis, and therapy. One item that has received a great deal of ethics attention has been a proposal for “reflex screening,” which would reserve a portion of a patient’s blood sample from serum screening and, in the event of a screening result that indicated an elevated risk, ‘reflexes’ the sample for cfDNA screening. Patients would not be notified until results had been returned from both screens. 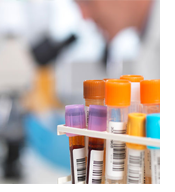 The principal investigators of the study have argued that reflex screening represents an improvement over typical contingent screening protocols, avoiding patient distress in cases where a false positive serum screen can be ruled out after cfDNA screening. 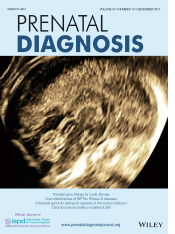 The Ethics of Reproductive Testing and Fetal Therapy SIG provides a platform for reflection on the ethics of the field. Please visit our website! 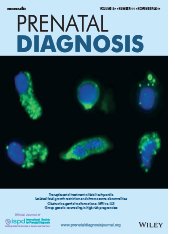 The joint position statement on the use of genome-wide sequencing for fetal diagnosis was published on 9 January 2018 in Prenatal Diagnosis and was issued jointly by the International Society for Prenatal Diagnosis (ISPD), the Perinatal Quality Foundation (PQF), and the Society for Maternal-Fetal Medicine (SMFM). Submit an Abstract by 12 February 2018! 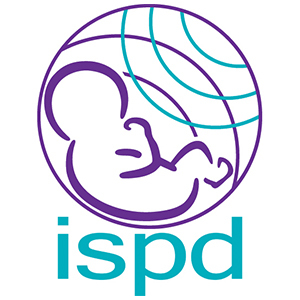 The International Society for Prenatal Diagnosis (ISPD) invites you to submit an abstract for the 22nd International Conference on Prenatal Diagnosis and Therapy, 8-11 July 2018, in Antwerp, Belgium. The deadline to submit an abstract is 11:59 PM US Eastern Standard Time (UTC-5) on 12 February 2018. 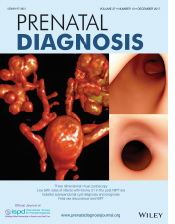 Prenatal diagnosis and therapy professionals in all disciplines are encouraged to submit abstracts for oral and/or poster presentation on topics relating to clinical genetics, fetal imaging, fetal therapy, and more! Suggested topics and links to published abstracts from previous years are available on the conference website. Please download the instructions and answers to FAQs to get started with your abstract submission. The abstracts will be reviewed and selected for presentation based on importance and timeliness of topic, scientific rigor, appropriate analytic approach, meaningful findings, applicability to conference topics and clarity of writing. Please note that presenters must register for the conference, at least for the day of their presentation. 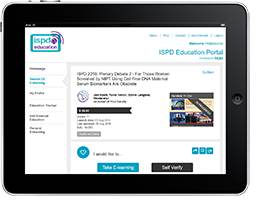 It is not necessary to be a member of ISPD to make a presentation at the conference. If you have any questions or need assistance, please contact Paige Hulsizer at phulsizer@ispdhome.org.